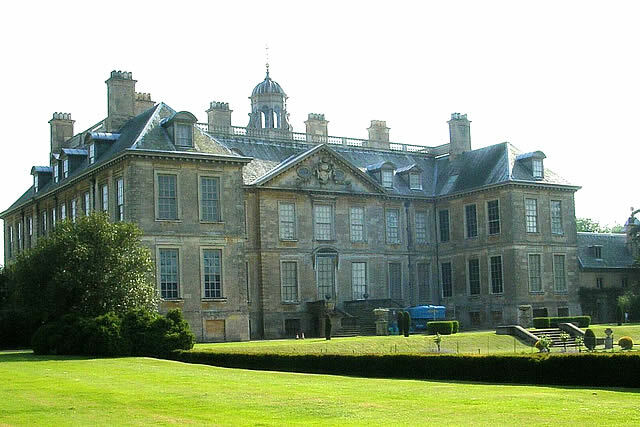 Belton House is a Grade I listed country house in Belton near Grantham, Lincolnshire. The mansion is surrounded by formal gardens and a series of avenues leading to follies within a larger wooded park. Belton has been described as a compilation of all that is finest of Carolean architecture, the only truly vernacular style of architecture that England had produced since the Tudor period. The house has also been described as the most complete example of a typical English country house. Belton House was the seat of the Brownlow and Cust family. Despite great wealth they chose to build a modest country house rather than a grand contemporary Baroque palace. The contemporary, if provincial, Carolean style was the selected choice of design. However, the new house was fitted with the latest innovations such as sash windows, for the principal rooms, and more importantly completely separate areas for the staff. As the Brownlows rose from baronets to barons upward to earls and then once again became barons, successive generations made changes to the interior of the house which reflected their changing social position and tastes, yet the fabric and design of the house changed little. The Brownlow family, a dynasty of lawyers, began accumulating land in the Belton area from approximately 1598. 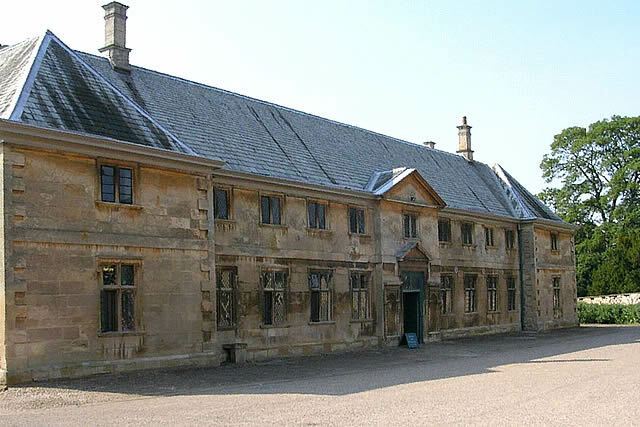 In 1609 they acquired the reversion of the manor of Belton itself from the Pakenham family, who finally sold the manor house to Sir John Brownlow I in 1619. The old house was situated near the church in the garden of the present house and remained largely unoccupied, since the family preferred their other houses elsewhere. John Brownlow had married an heiress but was childless. He became attached to two of his more distant blood relations: a great-nephew, also called John Brownlow, and a great-niece, Alice Sherard. The two cousins married each other in 1676 when both were aged 16; three years later, the couple inherited the Brownlow estates from their great-uncle together with an income of £9,000 per annum and £20,000 in cash. They immediately bought a town house in the newly fashionable Southampton Square in Bloomsbury, and decided to build a new country house at Belton. Work on the new house began in 1685. The architect thought to have been responsible for the initial design is William Winde, although the house has also been attributed to Sir Christopher Wren, while others believe the design to be so similar to Roger Pratt's Clarendon House, London, that it could have been the work of any talented draughtsman. The late 17th century in England was a time of great progress in design. Following the austere years of Commonwealth rule, a great flourishing and development in both architecture and the arts began after the restoration of the monarchy in 1660. Royalist exiles and wealthy young men who made the Grand Tour, returned home with new ideas—often extravagant variations on classical themes. This was, for England, the dawn of the Baroque era. The new wave of architects such as Roger Pratt, John Webb, and Sir Christopher Wren were not just building vast edifices in Renaissance-inspired styles, but also transforming existing older houses. Great Halls were considered redundant now that employers wished to live separately from their servants, and no longer ate with them in a Great Hall. All evidence and odours of cooking and staff were banished from the principal parts of the house. Employers began to live in fine airy rooms, above the ground floor, with privacy from their servants, who were now confined, unless required, to specifically delegated areas — often the ground and uppermost attic floors. This was a period of great social change in British history, and the educated prided themselves on enlightenment and elegance. While Belton is not in the Baroque style, it displays all the traits typical of the new tendencies. The plan of the rooms at Belton was passé for a grand house of its time. Following the Restoration and the influx of European ideas, it had become popular for large houses to follow the continental fashion of a suite of state rooms consisting of a withdrawing room, dressing room, and bedroom proceeding from either side of a central saloon or hall. These rooms were permanently reserved for use by a high ranking guest, such as a visiting monarch. While Belton does have a saloon at its centre, enfilades of state rooms of lessening grandeur do not flank it. The possible reason for this unusual layout is that, while the Brownlows possessed great wealth, their title was only a baronetcy, and their fortune was barely a century old. They would have been regarded as gentry, not aristocracy. As a result, building a suite of state rooms would have been in hope rather than anticipation of a royal guest. However, the lack of a fashionable and formal suite of state apartments coupled with the Brownlows' lack of social credentials did not prevent a visit from King William III to the newly completed house in 1695. The King occupied the "Best bedchamber", a large room with an adjoining closet, directly above the saloon, that led directly from the second floor Great Dining Chamber. In 1754, Belton was inherited by Sir John Cust, the son of previous owner Viscount Tyrconnel's widowed sister. Cust was a distinguished politician active during the politically turbulent 1760s, and his monument at Belton blames his death at the age of 51 to the "unusual fatigues of his office". His heir was created Lord Brownlow in 1776, and Belton was owned by successive Lords Brownlow for the next 200 years. In the last three decades of the 19th century the 3rd Earl Brownlow spent much time and money restoring Belton, and consequently the house entered the 20th century in a good state of repair and preservation. At the beginning of World War I, like many other British landowners, the 3rd Earl Brownlow offered his house and park to the Government for war service. The offer was accepted, and the largest and most drastic changes were made in the park since the time of Viscount Tyrconnel's folly building. In August 1914, the house and park were used as the assembly point for the 11th (Northern) Division before its deployment. In 1915, the home depôt and training ground of the Machine Gun Corps were established in the southern part of Belton park. In 1690, Sir John Brownlow was granted permission to enclose an area of 1000 acres to transform into a park, with a grant to keep deer. The park was laid out with avenues, including the still surviving Eastern Avenue which led east from the house. Brownlow also had a large pond or lake dug and planted 21,400 ash trees, 9,500 oak trees, and 614 fruit trees. Closer to the house were a series of more formal gardens, including canal ponds bordered by plantations containing symmetrical walks resembling the "rond-points" (circular clearings in a garden from which straight paths radiate) introduced by the landscape gardener André Le Nôtre. By the end of the eighteenth century, these formal parterres had been removed and the canal ponds filled in. Sir John Brownlow was succeeded at Belton by his brother, who was content to permit Brownlow's widow, Alice, to remain in occupation. She spent the remainder of her life at Belton arranging advantageous marriages for her five daughters. On her death in 1721, the house passed to her husband's nephew (and her son-in-law) Sir John Brownlow III (later Viscount Tyrconnel). Tyrconnel, a dilettante of no great intellect, was responsible for many of the architectural features which survive in the park and garden. Between 1742 and 1751, a series of follies, including a Gothic ruin, a cascade, and a prospect or belvedere known as the Belmount Tower, were constructed for him. Due to Belton's historic setting, there are many areas with uneven cobbles and gravel paths. If unfamiliar with the property we suggest you contact a member of the team when planning your visit. Dedicated disabled parking spaces are available near Visitor Reception. The Greyhound buggy provides a shuttle bus service between the car park, stableyard and house. Accessible toilets are located in the parkland, stableyard, Ride Play Café and gardens. There are a number of mobility scooters and manual wheelchairs available to borrow from Visitor Reception - however advance booking is essential. Please note that these are bookable for 2 hours maximum. Access to the house is via a stairclimber. Please note that visitors are required to transfer from their wheelchair to the stairclimber in order to gain access. They can offer the opportunity for closer access to some items in the collection - please speak to the house team in the Marble Hall. Access to Below Stairs Tours is via a spiral staircase, and is therefore is not accessible to wheelchairs. An induction loop is available at Visitor Reception. Assistance dogs are welcome. Below stairs tours are daily at 11:00 to 15:00. Tickets Whole Property: Adults £13.10; Children £8.40. Tickets Grounds Only: Adults £10.30; Children £7.00.